Pick-up in Tanjung Pandan Airport. Enjoy a welcome food (Belitong noodle + jeruk konci ice). 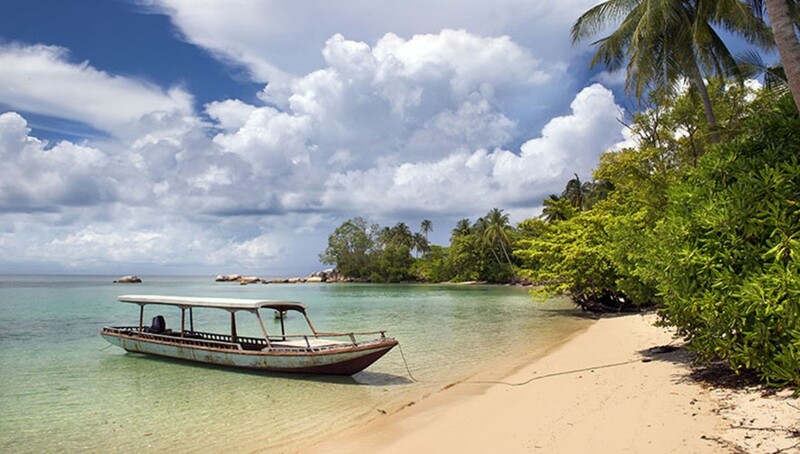 Visit Goddess Kwan Im Temple, Burung Mandi Beach, Manggar City, Samak Hill, Nyiur Melambai Beach, Gantong City, house of Batik, Museum Kata Andrea Hirata (author of Laskar Pelangi) and a replica of the Laskar Pelangi Elementary School. 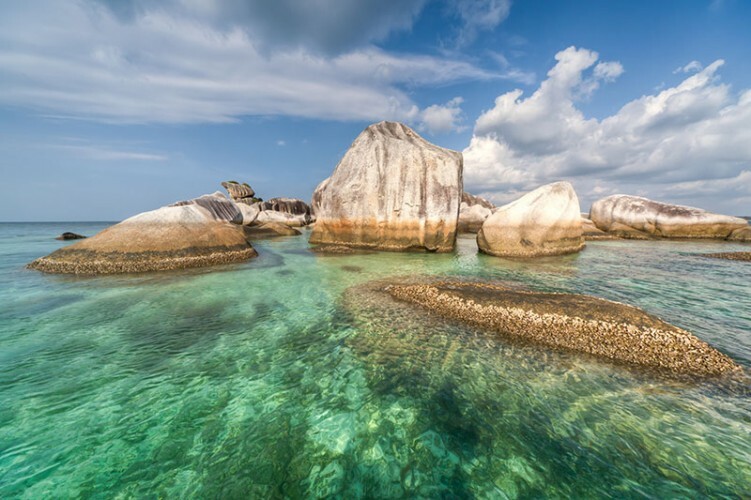 Come to see Tanjung Kelayang Beach, Lengkuas Island, Batu Berlayar Island, Kepayang Island (captivation of turtles), Burung Island and Pasir Island (there is a collection of starfish). 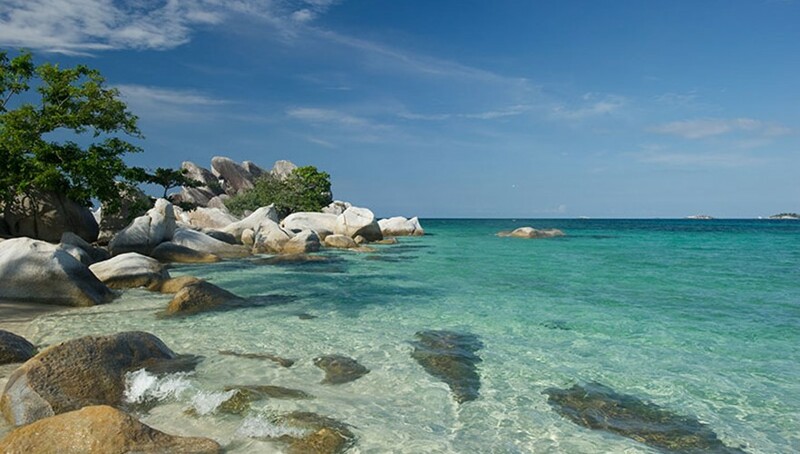 In the afternoon, back to Tanjung Kelayang Beach, walking along its white sand and see beautiful sunsets. After dinner, shopping for souvenirs. Go to Tanjung Pandan Museum, manufacturing plant of shredded fish, Belitung traditional house, Tanjung Tinggi and Lake Kaolin. Transfer to Tanjung Pandan Airport. 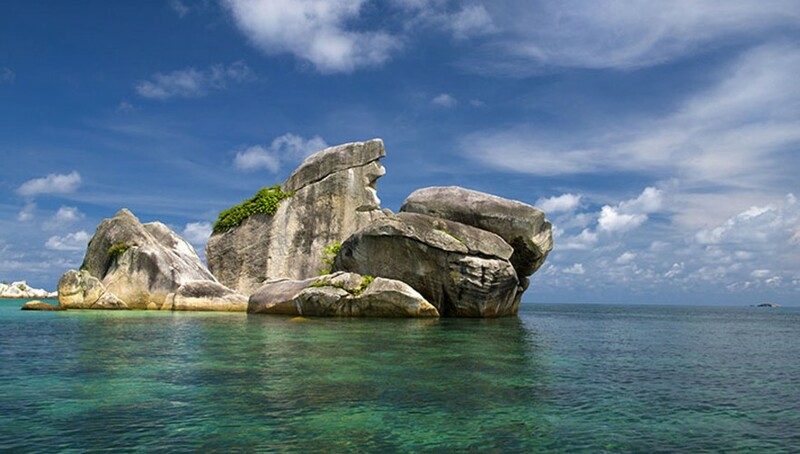 This tour package is specially designed for those who want to fully experience Bangka Belitung Island. 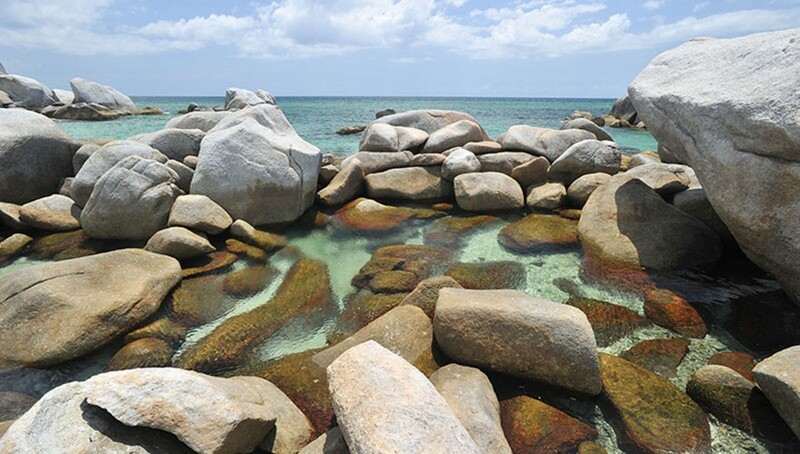 By following this program, you can see almost the entire attraction and to the most beautiful beaches in Bangka Belitung. "Amaze with this heavenly view!!" You should go there when the sky are clear, even though it was very hot. But you can take a good picture there. You can also enjoy the coconut!! It was very delicious and juicy! !